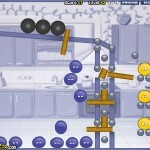 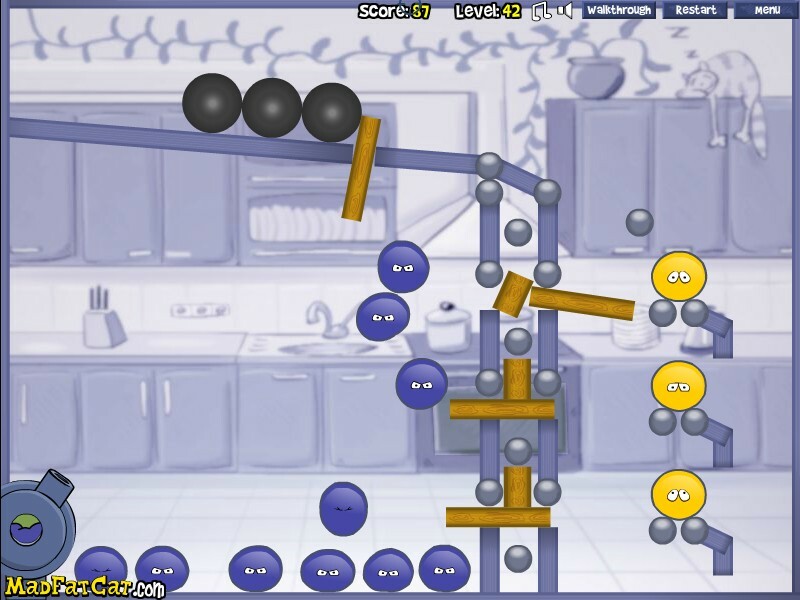 Aim And Shoot Physics Puzzle Mad Fat Cat Click to find more games like this. 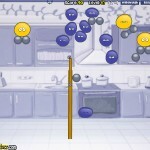 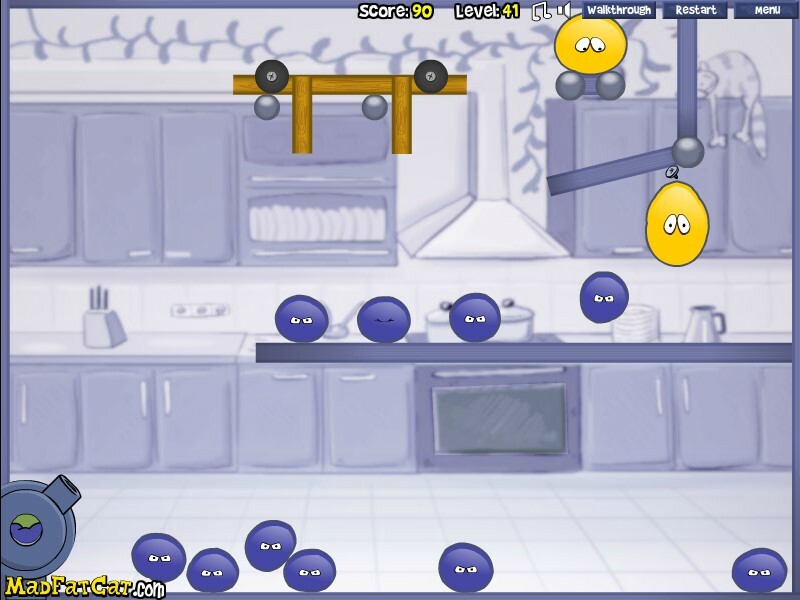 Your task in this funny physics shooting game is to unite all yellow jellies into one big jelly by making smart shots. 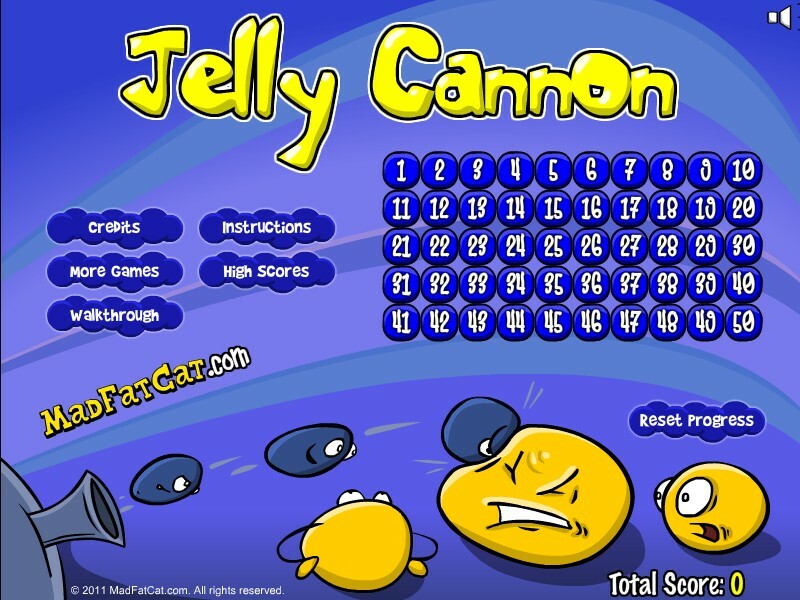 Click LEFT MOUSE BUTTON to fire blue blobs from your cannon and try to make all yellow jellies touch each other and merge into a single blob. 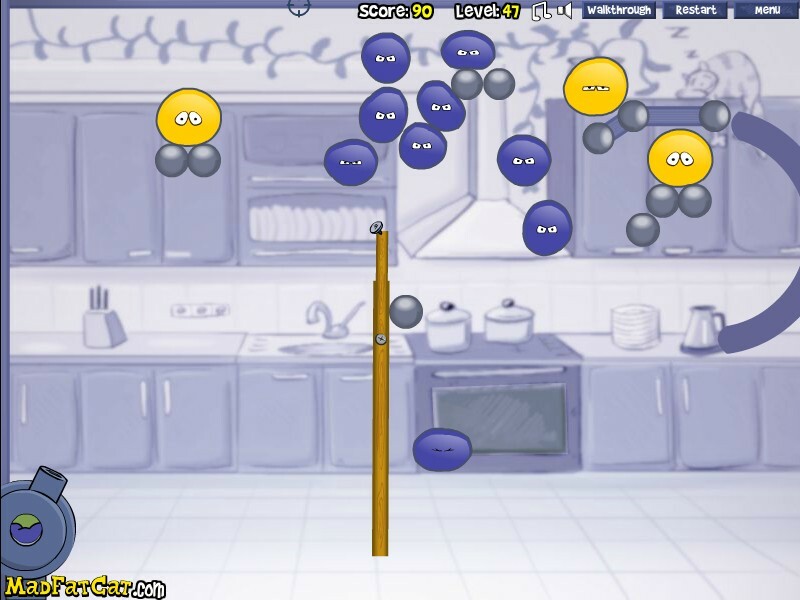 The more distance between the crosshair and the cannon, the more is the power of the shot.